An expanded hardware-in-the-loop (HIL) test system promises to offer a better way to test engineering’s most complex products, from defense aircraft to autonomous cars. 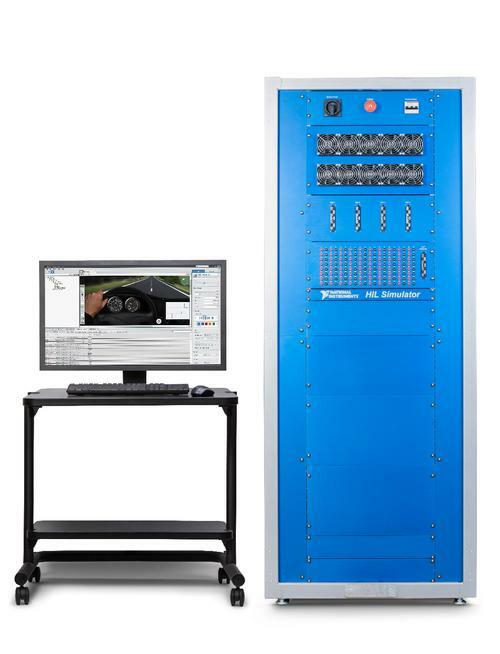 Introduced at this week’s NIWeek 2016 show in Austin, TX, the turnkey HIL Simulators product essentially consists of a new chassis that works with the company’s existing HIL platform. Its open, modular architecture is targeted at high-current applications that need to simulate complex sensor data from such sources as cameras, radar, and RF signals. National Instruments’ new HIL test product enables users to reduce the amount of hardware customization they might ordinarily need to do. Hardware-in-the-loop has long been used as a way of simulating complex, real-time embedded products. It involves using a mathematical representation of a complex system. In automotive, for example, HIL might be used to simulate the behavior of powertrain or body electronics. In aerospace, it can be applied to fly-by-wire control systems. NI’s new product adds a wrinkle to HIL simulation, however, by enabling users to reduce the amount of hardware customization they might ordinarily have to do for a HIL test. The SLSC (Switch Load and Signal Conditioning) chassis, as it’s known, serves as a form factor that engineers can design to. NI said the chassis can be applied to HIL test in a variety of industries, including automotive, aerospace, grid power, and train control. At an NIWeek keynote, Saab Aeronautics said it used the technology to fix embedded software defects on its Gripen fighter aircraft.